If you’ve considered having genealogy DNA testing, now’s the time to spring for it. Ancestry DNA is offering their DNA test kits for only $69 this week only. That’s the lowest price I’ve seen for genealogy DNA testing – 30 percent off their regular price. I’ve written about my own Ancestry DNA test results and how fascinating I found them. The $69 price point is a seriously good deal and only good through August 15, 2017. Here’s how Ancestry DNA works. Order your Ancestry DNA kit . Your complete kit will contain easy-to-follow instructions which you should follow carefully to collect and send your small saliva sample. Use the prepaid envelope to ship your sample to Ancestry DNA. Your DNA will be analyzed for more than 700,000 genetic markers. Within 6 to 8 weeks, you should receive an email with a link to your results. Ancestry DNA will also try to link your results with others in its database, locating cousins you didn’t know you had. You’ll need to have an Ancestry.com membership in order to contact your DNA matches. How accurate is Ancestry DNA? I’ve contacted several of my DNA matches, and all of them were definitely related to me, even though I didn’t previously know about them. I’ve had a lot of fun with my Ancestry DNA experience, and I continue to contact DNA matches here and there. It’s been helpful to get in touch with long lost cousins and share information about our relatives. Corresponding and collaborating with DNA matches has been just as wonderful as seeing my actual DNA results. 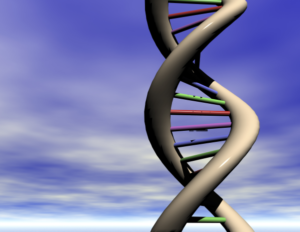 Have you had genealogy DNA testing or have you considered it? If you’ve had it, what did you find out? Were there any surprises?